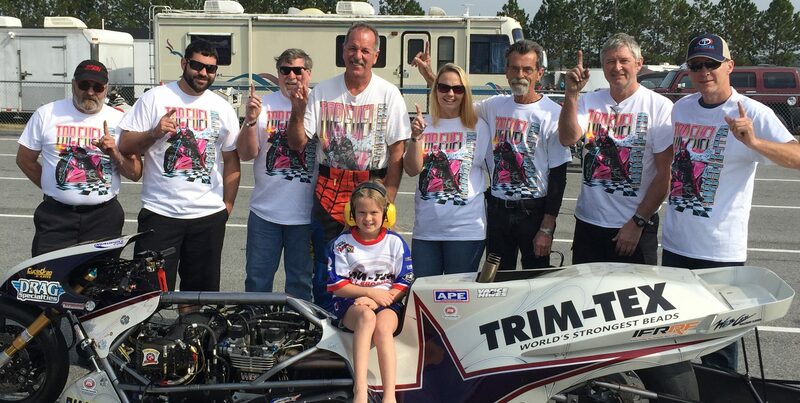 It has been a monumental winter for the Trim-Tex Motorsports team, producing plenty of news and excitement. “As usual we are always trying to put our best foot forward, work hard, playing even harder,” Trim-Tex president Joe Koenig said. 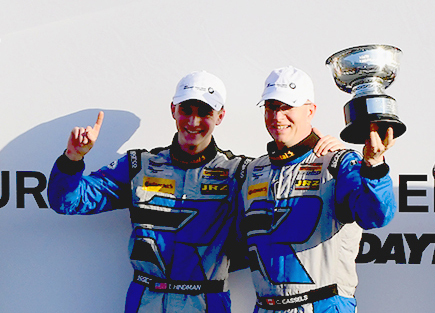 First sports car racing standout Trent Hindman won the season-opening IMSA CTSCC BMW Endurance Challenge at Daytona Jan 27th. Hindman and Cameron Cassels drove their No. 12 Bodymotion Racing Porsche Cayman GT4 from 16th place on the starting grid to a victory. “It was a hard fought, well-deserved victory and I’m very excited and hopeful about the rest of the season,” Koenig said. 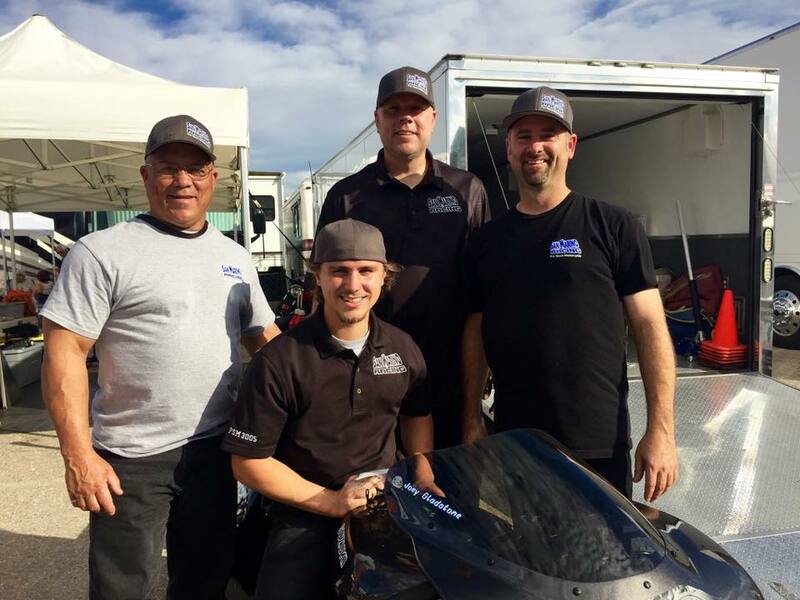 Shortly thereafter came the news of Trim-Tex backing multi-time Pro Street champion Joey Gladstone in his new endeavor in the NHRA Pro Stock Motorcycle class. Koenig himself is a former Pro Stock Motorcycle racer and, as a team owner, won the 2003 NHRA championship with Geno Scali. The Trim-Tex personal athlete sponsorship is for the entire 2017 NHRA Mello Yello Pro Stock Motorcycle tour. Gladstone will ride for owner/tuner Joe Riccardi on Riccardi’s San Marino Excavating Suzuki and has already been busy at work at Riccardi’s race shop in Michigan. 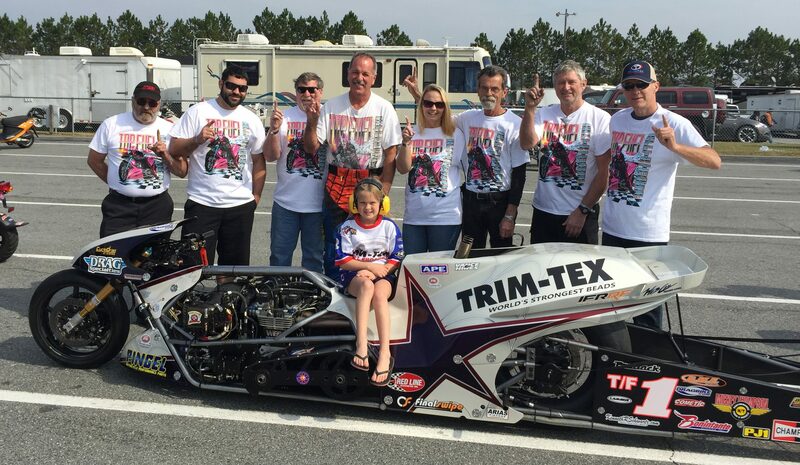 And Top Fuel Motorcycle legend Larry “Spiderman” McBride, who has been with Trim-Tex since 1999, continues his progress in preparing his machine for a chance at an unprecedented 17th championship title and a shot at setting a new world record. Larry McBride and his Trim-Tex Team celebrate a 16th championship. “I am really excited about this team of young studs out there representing Trim-Tex. Larry is included in that because he acts like a big kid,” laughed Koenig. Koenig knows team McBride will again be a top contender for a season championship.